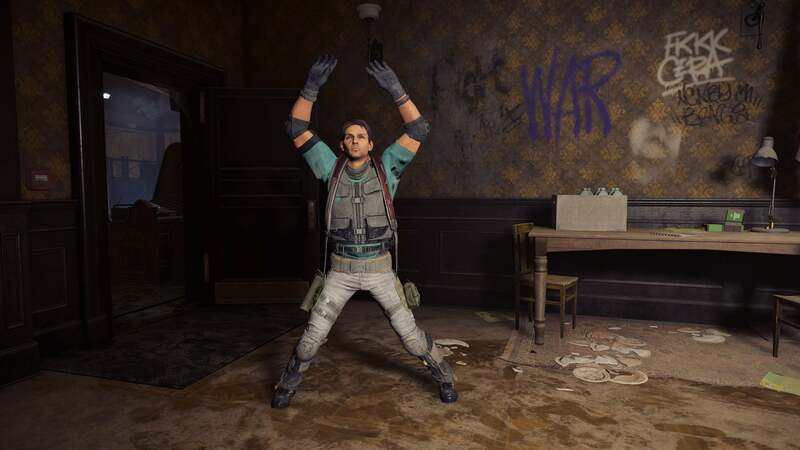 Ubisoft’s newest mega-game, The Division 2, gives players points and virtual patches for 125 tracked activities, some of them expected, some of them not, and some of them seemingly designed to encourage positive behaviours in multiplayer. That’s always a nice thing. The activities are listed in the game’s Commendations menu and give players many feats to try to pull off. There are your standard tasks, like getting four different types of enemy kills for five Commendation points, or killing an elite enemy by destroying all its armour in a minute for 50 points. Commendations are grouped into categories, including Combat for feats involving fighting enemies and Discovery for feats that encourage or reward less violent, exploratory play. 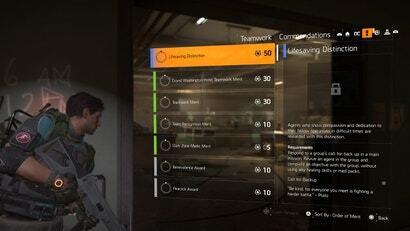 Most compelling are the 25 Commendations collected under the Teamwork tabt. Most are obscured for people just starting the game, but the eight available show that The Division 2’s designers are trying to nudge people into being helpful and playful in multiplayer. 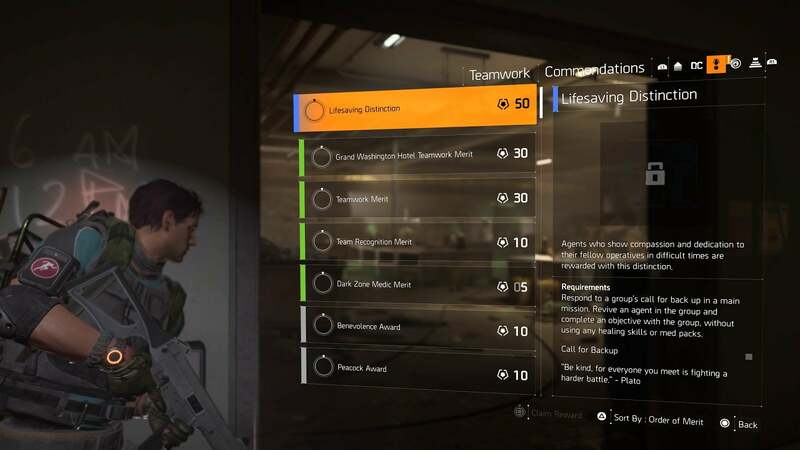 A Teamwork Commendation titled “Lifesaving Distinction” rewards players who “respond to a group’s call for backup in a main mission,” “revive an agent in the group and complete an objective with the group, without using any healing skills or med packs.” That gets players 50 points. The “Peacock Award” requires players to dance in one of the game’s public areas and have another player do the same. The “Synchronisation Award” goes to a group of four players who manage to perform the same emote at the same time. As with its predecessor, much of The Division 2 can be played solo, though all its missions and its open world can be tackled by groups of four. The sequel allows players to regularly ping the player base at large to provide backup, and some of the Commendations are meant to reward people answering those calls and being helpful. In the Division games’ treacherous Dark Zone regions, players can fight enemies but also betray each other. Even there, the Commendations might provide a boost for people trying to play in a helpful way. 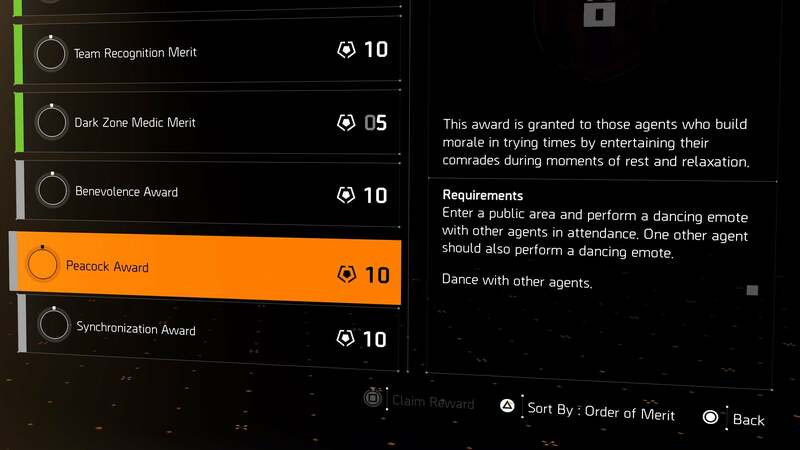 A multi-tiered Teamwork Commendation called “Dark Zone Medic Merit” rewards people for healing other players in the Dark Zone who are not in their group, incentivising players to help strangers. Some of the Commendations in The Division 2 seem designed to accommodate differing play styles. Others seem to cater to publisher Ubisoft’s desires for its customers to not stop playing its games. A cluster of Commendations labelled as “Service” offers players points for playing the game a lot. One challenges players to play for at least an hour on 100 different days and give 20 resources to in-game allied forces at control point locations each time. Another rewards players if they play the game 14 days per month for 12 months, another for playing for at least an hour 30 days in a row. A Commendation called “28 Days Distinction” is awarded to players who play for 672 hours. A Commendation for rescuing civilians and taking pictures of enemies is listed with a T.S. Eliot quote: “We shall not cease from exploration, and the end of all our exploring will be to arrive where we started and know the place for the first time.” That 672-hour Commendation gets a quote from, you guessed it (you did not), Nelson Mandela: “It always seems impossible until it’s done.” Yeah, OK, Tom Clancy video game. Weird packaging aside, the Commendations seem to largely serve a net good. 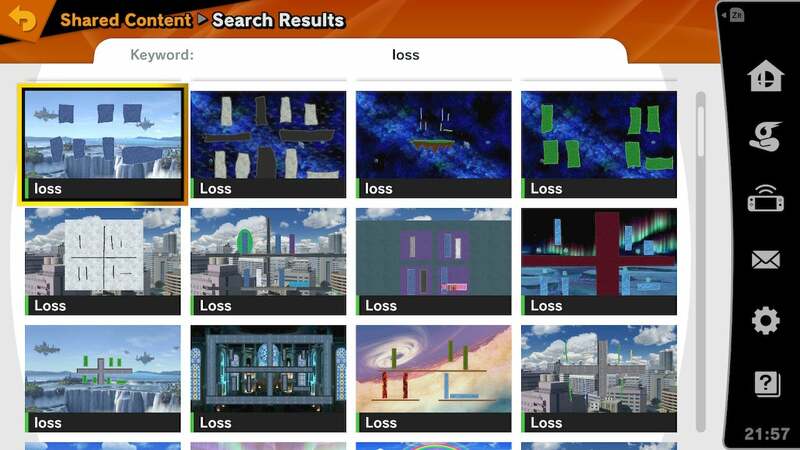 They recognise the range of ways people might like to play the game. They also dole out wearable patches and at least one unlockable emote for gaining points and hitting new point thresholds. The ones about playing the game a ton might lead to some unhealthy habits, but the ones encouraging players to be positive forces in each other’s games may well do some good in fostering a better online experience. Now if only the people in these safe houses will start dancing when our guys do. Those playtime hour challenges are a bit crappy but otherwise these sound pretty cool. Fun fact: No Tom Clancy novel or work ever mentions the Division in any way. Ubisoft created The Division- then adorned it with the Tom Clancy brand for marketing purposes. He wasn't even involved in its development. He'd sold up by then. The division is actually based on "Dark Winter" a study conducted by a bunch of OGA's in the US, and a law that was passed in the US about continuity of government under George W Bush's administration.